Mannheim, November 29, 2010 – Rhein Chemie Rheinau GmbH and Shin Han Chemical Co. Ltd., South Korea, have concluded a licensing agreement on tire tread marking inks. 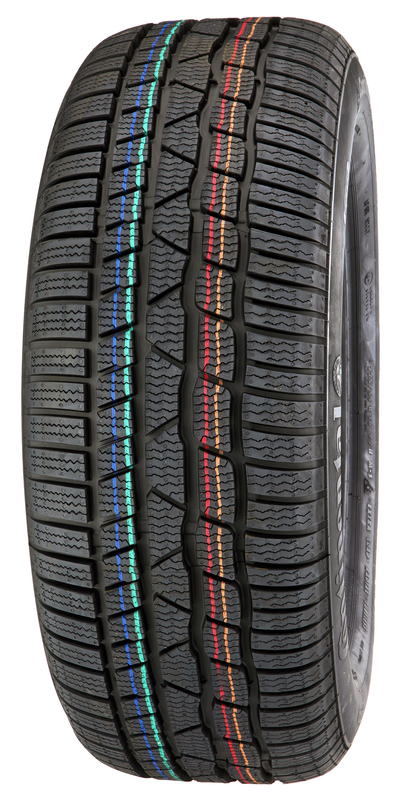 This allows Rhein Chemie to manufacture and sell these tire tread marking inks using know-how from Shin Han Chemical in nearly every country around the world. Excepted are only North and South Korea, China, Hong Kong, Indonesia, Japan, Cambodia, Laos, Myanmar, Macao, Singapore, Vietnam, Taiwan and Mongolia. Rhein Chemie markets the tire tread marking inks under the name Rhenomark® MP. “This is the perfect addition to our solutions for the tire industry,” said Frank Lueckgen, Executive Vice President of Rhein Chemie’s Rubber Division. Like the Rhenodiv® release agents from Rhein Chemie, Rhenomark® MP is also water-based and thus environmentally friendly. Rhenomark® MP exhibits excellent covering power, brilliance, bonding strength and water resistance. The ink also boasts a very short drying time for a water-based product, which means that the production process does not need to be modified. As a result, Rhenomark® is a cost-effective alternative to solvent-based products. It will be easy for the company to incorporate the new product group into its existing portfolio, because it has years of experience with the introduction of water-based release agents (Rhenodiv®). “We have already worked with Shin Han Chemical to further develop tire tread marking inks and position them successfully with customers. This therefore creates the ideal foundation for the further expansion of our business. Both Rhein Chemie and Shin Han Chemical will benefit from these agreements,” said Lueckgen. Rhein Chemie serves the tire industry with a broad portfolio, including accelerators, standard and specialty chemicals, anti sun-check waxes, processing promoters, release agents and tire marking inks. Rhein Chemie develops, produces and sells additives, specialty chemicals and service products for the rubber, lubricant and plastics industries. In fiscal 2009 Rhein Chemie achieved sales of EUR 226 million with approximately 800 employees worldwide. The company is headquartered in Mannheim, Germany and has production facilities in Europe, Asia and North and South America. Rhein Chemie is a wholly owned subsidiary of the specialty chemicals group LANXESS, Leverkusen, Germany.